The Spurs led by seven points at halftime and by just 64-60 after Boston’s Kyrie Irving hit a 3-pointer with 6:33 to play in the third period. 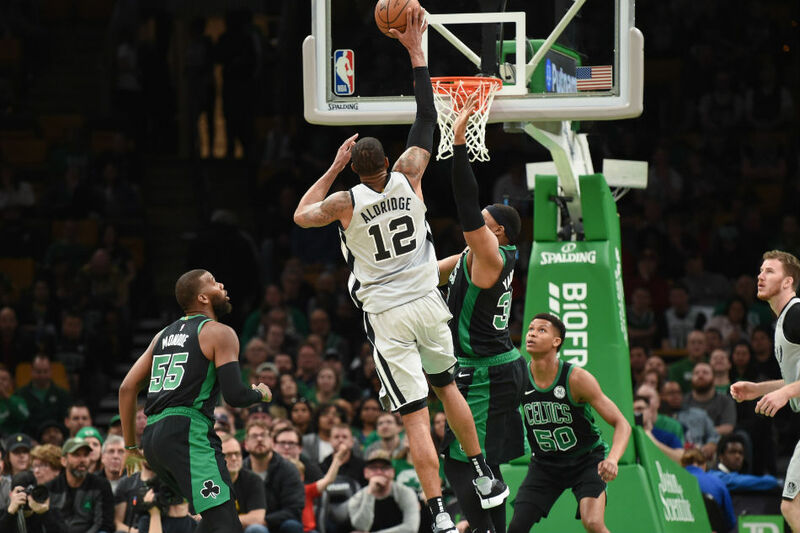 San Antonio (43-31) then ran off 13 of the game’s next 15 points to pull away, and the Celtics, playing the second game of a road-home back-to-back, never mounted another charge. Aldridge’s points were the second-most of his career, following his 56 in a double-overtime win over Oklahoma City earlier this season. DeMar DeRozan added 16 points for the Spurs, who have won 10 of their past 12, while Patty Mills hit for 12 points off the bench, and Jakob Poeltl took 10 rebounds for San Antonio. Marcus Smart led the Celtics with 14 points, with Marcus Morris and Gordon Hayward adding 13 each, and Irving and Daniel Theis scoring 11 points apiece. Hayward paced Boston with 10 rebounds and Irving had 12 assists as the Celtics (43-31) lost their fourth game in a row. Aldridge scored 19 points, the most for a San Antonio player in any quarter this year, as the Spurs led 31-24 after the first quarter. They ran their advantage to as many as 12 points three times in the second period, lastly after a jumper by DeRozan with 2:18 left in the half. Boston scored the final five points of the period and clawed back to within 54-47 at halftime. Aldridge ripped off 25 of his points in the first half on 11 of 17 shooting from the floor and grabbed eight rebounds in 18 minutes. The Celtics stayed within shouting distance thanks to 13 points from Hayward and 11 from Morris. Boston played without center Al Horford (left knee soreness), forward Jayson Tatum (right low back contusion) and forward Robert Williams (low back contusion).